Mercedes "MJ" Javid's dream has finally come true! 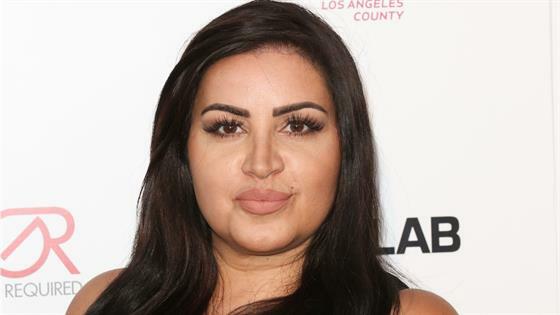 The Shahs of Sunset star is pregnant with her first child. Following the exciting development in her personal life, MJ, 45, reveals to E! News exclusively that she and husband Tommy Feight are expecting a baby boy. And after losing her father earlier this year, MJ says she is "really happy to open a new chapter" following such a devastating period of time. "I'm hoping that my baby will remind me of my father and, of course, have a piece of Tommy and me," she explains. "It's the cycle of life." Javid calls the pregnancy a "huge blessing," especially after the reality TV personality elected to undergo in vitro fertilization (IVF) in hopes of expanding their family. Additionally, MJ had multiple surgeries to remove uterine polyps in preparation for an embryo transfer. "He's been with me and present for every step of the way," she shares. "When you get IVF done, there is a 10-day waiting period where you come back to get a blood and urine test and we did that together as well... I really love to see how happy Tommy is and how excited and nervous. You know, he gets to be a father!" MJ and Feight, who popped the question in 2016, tied the knot in front of their closest loved ones—including the cast of Shahs of Sunset—this past April in Los Angeles. She broke the news of their baby on the way during the Shahs of Sunset reunion taping, which took place last week. "Everyone on the cast was really supportive," MJ says of her co-stars' reaction. Javid has long expressed her desire to become a mom, telling E! News during a previous interview that she had her sights set on achieving a healthier lifestyle in order to have children of her own. "I want to get healthy not just for the wedding, but also to be able to—God willing—try to get pregnant and chase some babies around a park," she shared at the time. So now that she is expecting, what are the ways in which MJ is ensuring her road to baby is a peaceful one? "Tommy and I are both focused on eating really clean super foods that are going to nurture the baby. I'm very lucky I don't have morning sickness, food cravings or fatigue," she says, adding, "The best advice I've gotten is to really enjoy the process and be happy. So if you're happy, the baby's happy. Just give it positive energy. Laugh a lot, and just start to nurture it from the outside." MJ is already planning her parenting style, telling us she hopes to "emulate" her late dad's skills and really become "stuck at the hip" to her mini "co-pilot." "I definitely won't become one of those moms that doesn't believe in babysitters," she jokes, continuing, "I think legacy really becomes important when you become a mom. You want to set a great example for them. I think it's inevitable that you'll become a better person. You'll aspire to become better because you've got this beautiful life in front of you going, 'What are we doing?!'" Despite being so open about her pregnancy, her lips are very much sealed when it comes to the name they've chosen for their little boy. "We definitely want to carry the Persian tradition from my side and the Irish tradition from Tommy's side," MJ does tease, however. Up next for the expectant couple, MJ says they're working towards baby-proofing their home, decorating the nursery and planning a "huge" shower. Explains MJ, "We'd like to do a celebration where we just bring a huge group of our closest friends and family together to celebrate life." Congratulations to MJ and Tommy!